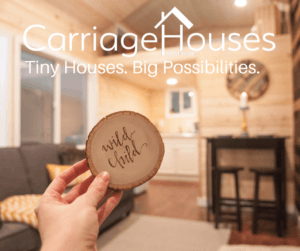 We are showing two tiny homes at the Seattle Home Show this year and are partnering with Market Share to bring in new technological features. One of our models will showcase smart technology, which automates household functions including lighting, heat, security, music, and more. Come to CenturyLink Event Center between February 17 and February 25, 2018, to begin dreaming about the big possibilities. Make it a family outing or a quick excursion with a friend – everyone will enjoy the adventure. Tiny House Builders Celebrate One BIG Year!